A minor in possession of alcohol citation is a commonly written criminal citation by Massachusetts police. Particularly in the summer months when underage kids are outside in public and drinking, whether at house parties, at the beach, at outdoor concerts and festivals or simply wandering around at night. In other cases, being caught with a false ID at a bar can result in a minor in possession citation. And while it is not a very serious charge, it is still a criminal offense. And any criminal offense carries the risk of a criminal record if you are convicted. In the age of free and cheap background checks, a criminal record is something you really want to avoid, especially if you are a young person. A criminal record that shows up on a background check can ruin job interviews, volunteer opportunities, scholarships, apartment rentals and many more situations where you are required to submit to a CORI check and you could be passed over and never know why. I fight in court to avoid these outcomes, and I do everything I can to avoid a criminal conviction for my clients. And very often, it works out fine with no charges filed. What Can I do to Protect My Child from a Criminal Conviction for Alcohol Possession? If you or your underage child received a criminal citation to appear before a Clerk Magistrate, at a show cause hearing, don’t panic. These hearings are actually a great opportunity to get the charge dropped before it is even formally issued. I wrote a book on different strategies to win these hearings. There are many different ways to win a hearing on a minor in possession of alcohol charge, even when the defendant probably committed the offense. We can challenge the facts directly. Did the minor have the alcohol in his hand? Was it just nearby to him or her? Was it in his or her car but could have belonged to someone else? Is there any reasonable doubt? If the actual facts of a criminal act are weak, this is one possible way to win the case outright and walk out with a complete dismissal. I was Arrested for Minor in Possession. Can I avoid a criminal record? If you were arrested, we can still often work out a favorable deal that avoids a criminal record. Your next court date will be an arraignment, usually the next business day after the arrest. If you are unable to hire a lawyer for your arraignment, you will get a pretrial date. At the pretrial conference (or even at the arraignment date sometimes) we can often work out a deal for a pretrial division. A pretrial diversion is a type of deferred prosecution that puts off a conviction, and the case is dropped indefinitely. Cops do unfortunately arrest people sometimes when they could easily just hand you a criminal citation. Or if you appear to be very drunk, you may be more likely to be arrested, supposedly for your own protection. What if it is Obvious I had Alcohol and I Am Really Guilty? Can I still avoid a Conviction? Yes, in many cases that is possible. Even if you did clearly have alcohol as a minor, we can still very often work out a deal that avoids a criminal record. As a legal tactic, we can accept the facts as presented in exchange for avoiding a conviction. If it is a Clerk Magistrate’s hearing, we can present evidence that the person is deserving of a second chance. we can as the Clerk to not issue the criminal complaint as a matter of fairness and justice. Clerk Magistrate’s have full discretion to essentially stick a charge in a drawer for 6 to 12 months, and then have the case automatically dismissed if there are no further incidents. Even if you were arrested, we can often work out an alternative deal like a pretrial diversion where the case is continued for 6 months, and will be dropped if there are no further incidents. Typically in this scenario, the person may have to attend some AA meetings or other alcohol education classes. But this is a great deal if we can completely avoid any criminal charges being filed, which is the primary goal. 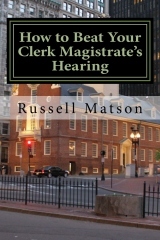 More on why you shouldn’t plead guilty, and Clerk Magistrate’s hearings. Most people are not concerned with the fine, or even the license suspension, but the prospect of a criminal conviction sitting on your record. That is almost always what we are working to avoid. My Child was Caught Drunk. Can He of She Be Charged With a Crime? Probably not. But if the person who provided or furnished the alcohol, he or she could be cited under the social host law. And a minor can still be charged with Furnishing Alcohol to a Minor. If he or she is the resident at a home where a party is taking place, and is found to have served alcohol from their parents to other kids. If you are driving around with alcohol in your car, that can be a separate charge, even if there is no evidence that you consumed any alcohol, or that the alcohol is yours. We have successfully represented a number of clients accused of transporting alcohol as a minor, even though the person wasn’t even aware that there was beer in the car, and it was put there by a person of legal drinking age. There is also a misdemeanor charge of altering or use of a false identification or furnishing false identification to get a license or ID that is punishable by a penalty of a $200 fine and up to 3 months in jail. A felony charge of false ID is even more serious. If they charge you with “possession of false RMV documents”, it is considered a felony. I have defended felony false ID charges successfully before, here is a video synopsis of that case. Free consultation on any minor alcohol charge! As you can see from the above video, even in cases where the charges are more serious, we can often work out a creative deal that avoids penalties and a criminal conviction. I fight lots of these cases, particularly in the Attleboro District Court after-concert events at the Xfinity Center in Mansfield, and also in the Eastern Hampshire District court for cases involving UMass Amherst students and visitors. These citations are common at outdoor concert events or anyplace where tailgating is happening. Give me a call or text me today at (781) 817-6332 to discuss your situation and what I can do to help. Description: Client was found near alcohol in the trunk of a car at Umass-Amherst, and was charged with being a Minor in Possession of Alcohol. Attorney Matson negotiated a pretrial diversion, which results in no criminal record, and is not found guilty of any crime. There will be no record that the case ever went to court as long as he stays out of trouble for 4 months and attends 6 Alcoholics Anonymous meetings.